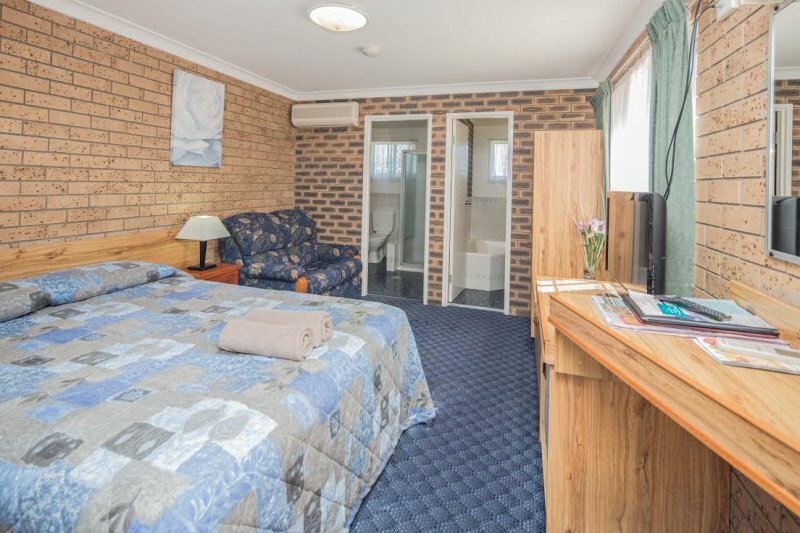 The "Best Motel in Town" located just off the main road and within walking distance of the Tenterfield CBD. Settlers Motor Inn is 3.5 star when AAA rated, (although many regulars say it should be rated much higher). 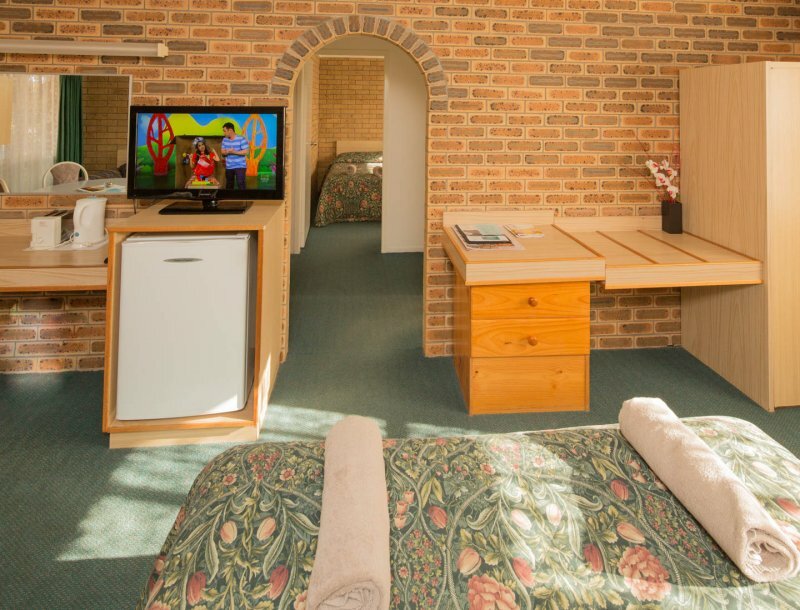 All rooms have reverse cycle air conditioning to keep you cool or warm, no matter what the weather. 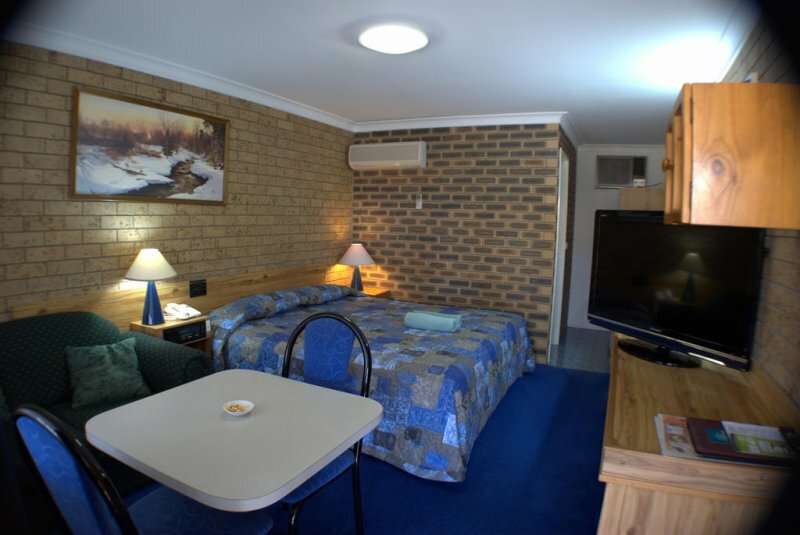 Competitively priced Executive Queen rooms, King rooms, Family rooms and Twin rooms available. A Spa Suite is available for that romantic weekend escape, or to just rest those tired aching muscles in the warm soothing water of your own in room spa. Please Note that those wanting to charge electric cars need to book a King Room as this is the parking slots which have the chargers located. 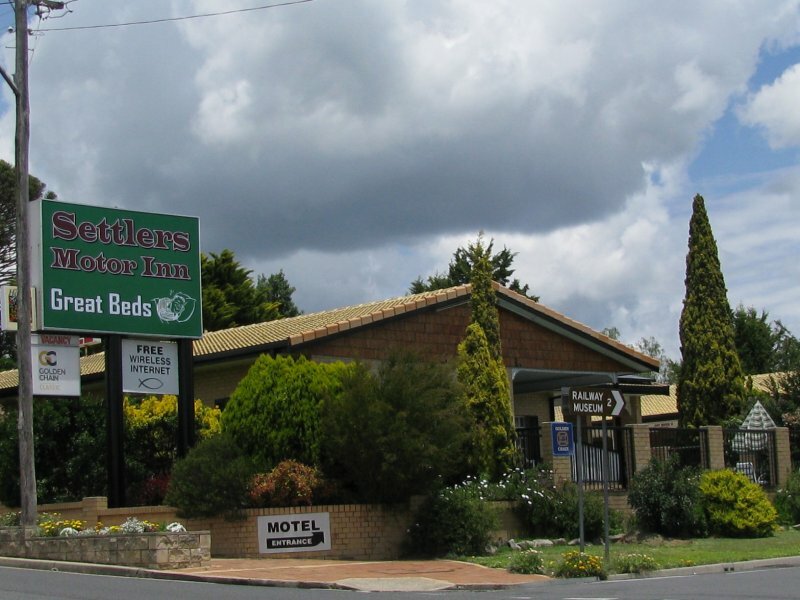 Settlers is the only motel in Tenterfield with a pool, and is a short walk to the beautiful parklands that stretch the entire length of the town, meandering along with the Tenterfield Creek through beautiful trees, you can enjoy the ambience of a stroll in the country air. 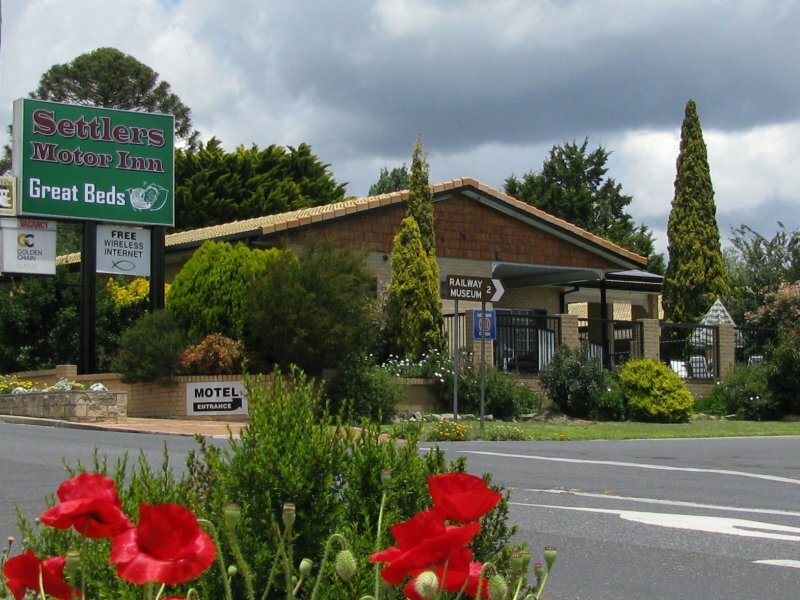 Only a short walk to the shops Settlers is close to everything you would like to explore in the town of Tenterfield where there is so much to see and do. 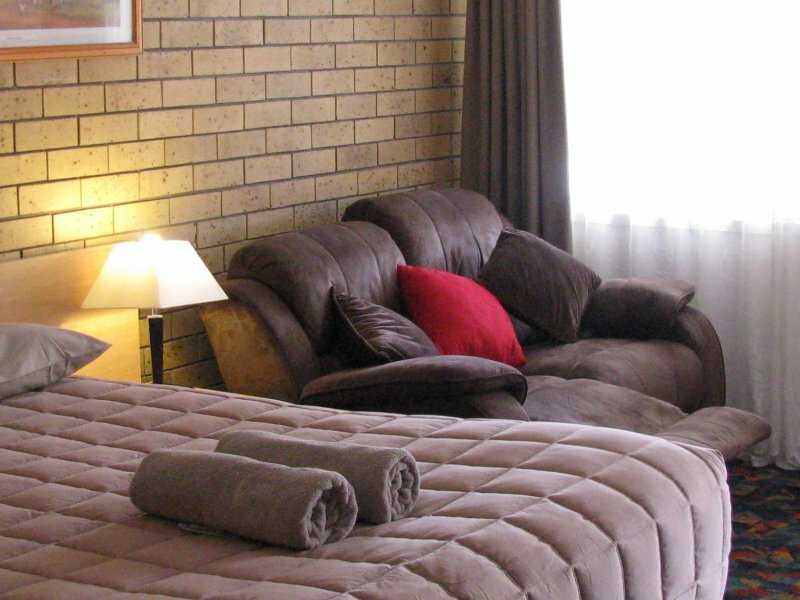 We are also the place to stay if you fancy a visit to the fabulous Bald Rock. Take up the challenge to climb the face, or take the easier long way to explore the wonderful flora and fauna around the rock. After your full days you will enjoy our strong hot showers before collapsing on your sleepmaker bed or snuggling up on the comfy sofa to watch the large flat screen TV, before having the best sleep of your life. See you soon to welcome you to settle in, at Settlers Motor Inn.